The game can be played as a one on one game, or in many cases, especially for tournaments, it is played two on two. The game’s new electronics record GOALS, SHOTS ON GOAL, PERIOD, and RUNNING TIME. The running time is operator adjustable. 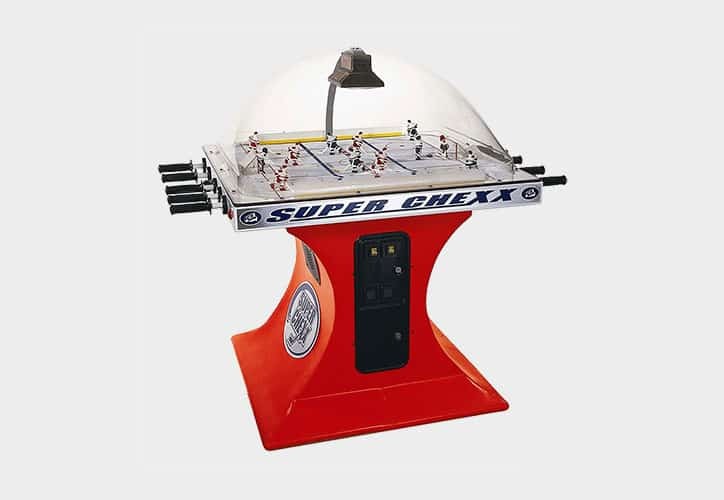 There is an automatic puck return system, overhead dome lighting, and if a game is tied after the normal game play it will automatically go into sudden death overtime - so there's always a winner!! !